Aging is one of the biggest risk factors for various human diseases. The genome instability seems to cause cellular senescence as well as aging of animals. For example, some of human premature aging diseases such as Werner syndrome and Bloom Syndrome are due to mutations in the DNA repair enzymes. But, the mechanism how the genome instability affects the cellular senescence has not been known. 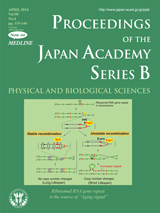 Prof. Takehiko Kobayashi at National Institute of Genetics has a unique interesting idea to explain this. Using Saccharomyces cerevisiae, he has been studying for 20 years on the DNA recombination at the gene locus that carries more than 100 copies of ribosomal RNA genes. He showed that the copy number of the ribosomal RNA gene always changes because the homologous recombination at this highly repetitive locus is not always precise. He then demonstrated that Sirtuin (Sir), believed to be an anti-aging factor, stabilizes the homologous recombination at the ribosomal gene locus, and found that the recombination rate at this locus strongly correlates to the yeast’s lifespan. 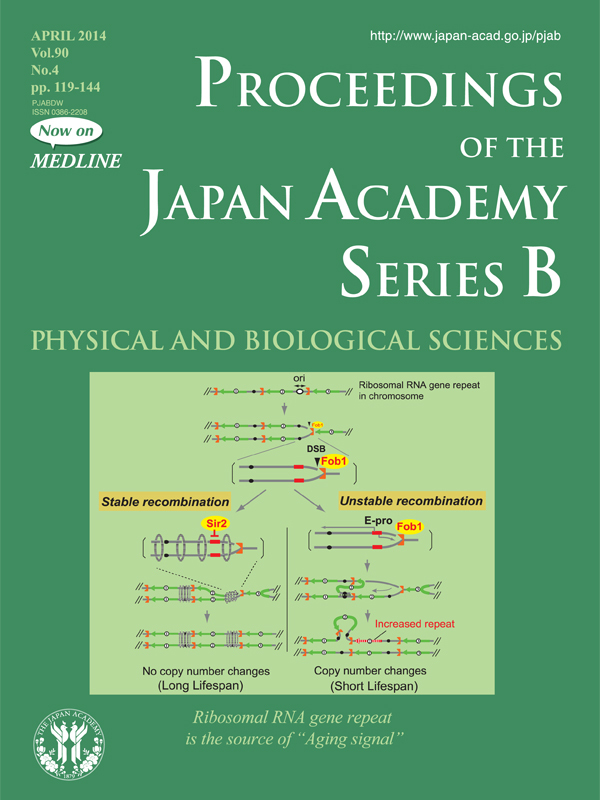 These findings led Dr. Kobayashi to propose a new aging theory “rDNA (Ribosomal DNA) theory for aging” (see pp.119-129 in this issue). The ribosomal DNA is the most unstable region in the genome, dominates the whole genome stability, and affects cellular senescence. He thinks that the ribosomal DNA locus is “the source of aging signal”. I am eager to hear from him whether his theory can apply to senescence of human cells, and to the aging of human bodies.